Stunning contemporary birthstone jewellery designed and hand crafted by our master Goldsmith Julian Stephens. 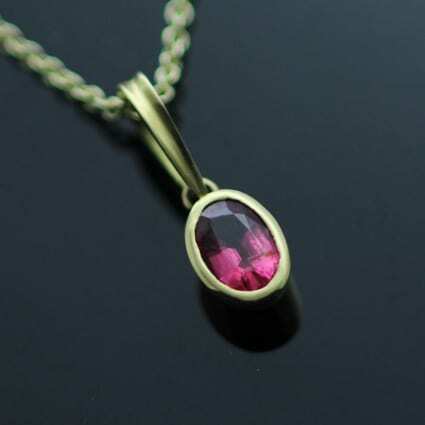 A beautiful Oval cut Pink Spinel gemstone is featured in this modern, elegant necklace. Set in hand polished, solid 18ct Yellow Gold to create a sleek, elegant pendant design. Spinel is a beautiful, highly refractive precious gemstone which occurs naturally in Octahedral Crystals and is found in a wide range of vibrant colours, including sought after red and pink hues. 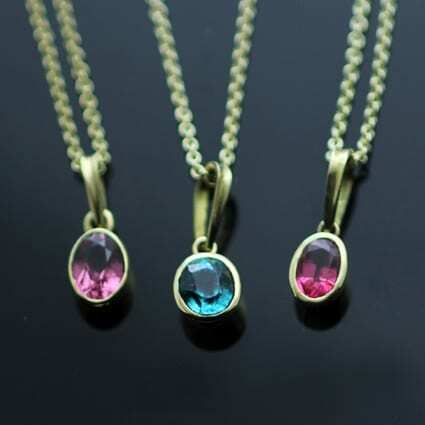 The Spinel was recently added as an official Birthstone for August, alongside the Peridot gemstone. 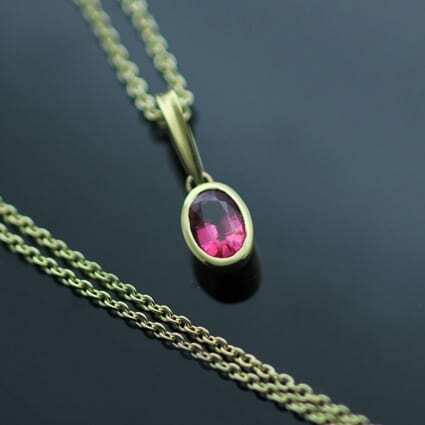 The beautiful Hot Pink Spinel gemstone necklace is finished strung on solid 18ct Yellow Gold fine and dainty 18″ thread chain.